The European Film Promotion is promoting the initiative ahead of its 20th edition at the Cannes Film Festival 2019. Each year, 20 up and coming producers from 20 different countries from throughout Europe are selected to participate in ‘Producers on the Move’ at the Cannes Film Festival. The four-day programme aims at connecting enterprising young producers with international potential co-production partners and strengthening their industry networks. The programme is underpinned by a digital promotion campaign and a press campaign in the international trades, creating visibility and opportunity for the producers. 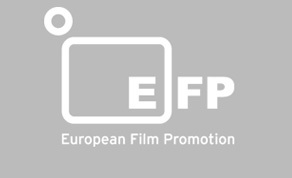 European Film Promotion started this programme 20 years ago - more than 400 producers have participated since then. Most of them have become internationally respected producers, their works are screened at the top festivals around the world, winning numerous awards. ‘Producers on the Move’ is financially backed by the Creative Europe - MEDIA Programme of the European Union and the participating EFP member organisations since its inception. "We see so many co-productions as a result of ‘Producers on the Move’, such as Teona Strugar Mitevska's ‘God Exists, Her Name is Petrunya’, which just premiered in the Berlinale Competition. It is a co-production between Labina Mitevska (North Macedonia) and Zednka Gold (Croatia) among others. Both met during the programme in 2013, where they also met Romanian Anka Puiu. Three years later their first co-production Cristi Puiu's ‘Sieranevada’ premiered in Competition in Cannes. We are, of course, enthusiastic about the fact that almost 50 % of the former participants are women." • The producer's experience in an international co-production (at least one international co-production) is a pre-requisite. The selection process favours producers who have been majority producers. • The producer has a strong project suitable for an international co-production. Producers who are interested in participating in ‘Producers on the Move’ 2019, should contact their national film promotion institutes (EFP member organisations) by 12 March. These organisations can nominate one candidate each.